Adam Rogozinsky's Mini Laser 3D doing a slow and low inverted pass against a cloudy sky. 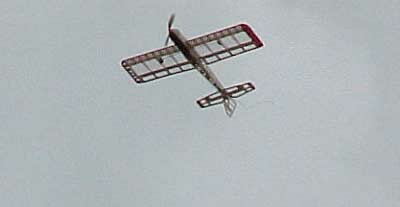 Features: Full house aerobatic; can fly verical and hover. 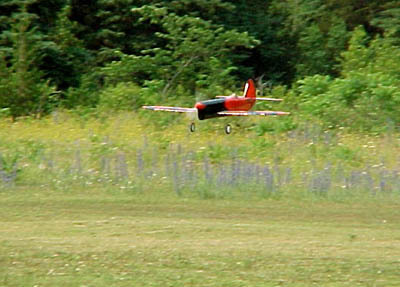 Marc Thomson's E3D coming in for a nice landing after an aerobatic flight, at the 2002 Oakville funfly. 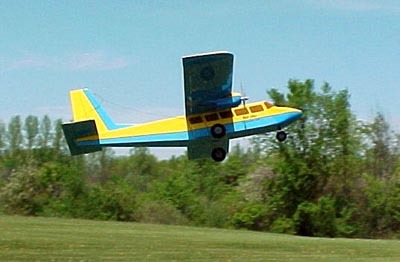 Jack Humphries' twin Islander takes off at the Oakville 2002 funfly. 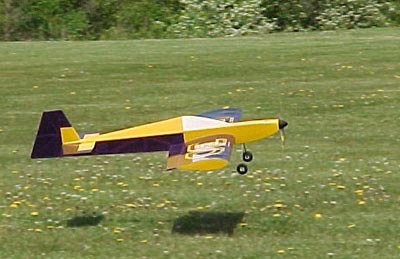 AndrÃ© Wedseltoft's Flying Aces Sportster coming in for a landing at the 2002 Kingston Funfly. The FAS is a 1920's sort-of-scale-like racing plane. 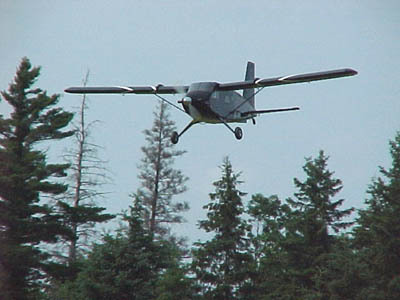 Gerry Key's huge Turbo Beaver flying slowly over the trees and over the field at the 2002 Kingston funfly. 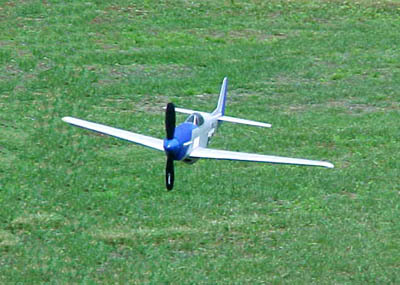 An FFX P51D (modified from a P51B kit) "Park-Fighter" in a very low pass over the field at the Kingston 2002 funfly; flown by Adam Rogozinsky.